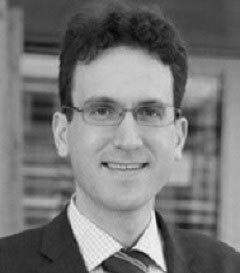 Alexander Rust is Professor of Tax Law at the Institute for Austrian and International Tax Law of WU (Vienna University of Economics and Business). He previously worked as Professor of Tax Law and Director of the Master Program in European and International Tax Law at the University of Luxembourg, as Acting Assistant Professor at New York University and as assistant at the University of Munich. He is a member of the editorial board of Intertax and Internationale Steuer-Rundschau as well as Co-Editor of the Commentary Klaus Vogel on Double Taxation Conventions. His main research interests are tax treaty law, European tax law and tax policy. He is a frequent guest lecturer at universities in and outside Europe. The OECD Multilateral Instrument for Tax Treaties: Analysis and Effects. Read this book to know all the important details. Get your copy now! Klaus Vogel on Double Taxation Conventions is standard on the law of tax treaties. This edition provides the full and current account of double tax conventions. Buy now!